We’ve just published Church in Life, the follow-up to Michael Moynagh’s highly influential book Church for Every Context. The book aims to break new ground by proposing a framework for thinking about innovation in the church, by arguing that new ecclesial communities should be at the centre of the church’s life and thought, and by offering new theology and methodologies for church planting. “it should be required reading for those making policy for the future of the church“. This suggestion should be read in the context of Stephen Bevans’s comment that ecclesiology and missiology have typically focused on different things: ecclesiology on what the church is, missiology on what the church does. The disciplines have tended to bypass each other. Recent movements in the two disciplines have begun to close the gap. In both disciplines today, the immediate starting point is neither the church’s nature nor – as used to be the case with missiology – its activity, but the reality of the triune God. Ecclesiology has become more missiological as it realizes that it is God’s mission – the sending of the Son and the Spirit – that calls the church into being. Missiology has become more ecclesiological by recognizing that the church is how God’s mission explicitly takes shape (Bevans, 2005, pp. 45–9). Church in Life makes the case that not only do missiology and ecclesiology belong together, but the Spirit is summoning theologians to attend to a certain type of mission. This is mission undertaken by ecclesial communities in the settings of everyday life. Though this is not the only form of mission that counts, it is mission that arises from the generous nature of God and from the church’s vocation. The church is a divine gift to the world, and it is in the nature of this gift to be passed on. New ecclesial communities are how God’s gift of communal life with Jesus gets transmitted to people who have not yet received it. Forming these communities is to walk in the steps of Jesus. New ecclesial communities gently befriend people and put Jesus on public display in every corner of society. They are ‘insider communities’, emerging within contexts rather than expecting new believers to attend church outside the setting. Chapters 11 to 14 address some of the questions arising from this. Advocates of new types of church frequently appeal to the incarnation.11 Just as Jesus immersed himself in a particular culture – Judaism – to reach humanity, his body is called to be present in the particular cultures of today’s world. This is a strong approach, but it risks telling only half the story. To paint the whole picture, God’s future must be brought into the frame. Jesus came into the world as the paradigm and instigator of God’s promised kingdom. Taking our cue from Jürgen Moltmann’s theology of hope (1964; ET 1967), new ecclesial communities should be viewed from this kingdom perspective. They are expressions of God’s coming reign. The Spirit enables founders of these communities, through prayerful imagination, to perceive new kingdom possibilities in the present. As founders imagine God’s future transforming the here and now, they are inspired to enact this potential with others. In the process, the Spirit uses innovation to transport God’s future into the present. Touches of the kingdom change the rules of the game and create something new. Through innovation, eternity takes root in the midst of history. New ecclesial communities are expressions of hope – hope in the renewal of creation through divine innovation. Church in Life argues that ecclesial multiplication is fundamental to the church’s life. It gives rise to expressions of God’s promised future. Yet it is almost completely neglected in academic discussions of the church. Might the Spirit be calling the church to reverse this neglect – to draw multiplication towards the heart of its witness and thought? The second audience is students, researchers, founders and enablers of new ecclesial communities. Church in Life substantially develops the theological and practical material in Church for Every Context (Moynagh, 2012), which was written for the same audience. In particular, this new book introduces an innovation framework. The framework can help practitioners understand and work with the dynamics that give rise to these new communities. A third audience is evangelical church planters influenced by Church Growth theory. Increasingly, it is now realized that to bridge the widening gap between the church and society church planting must change. This revisionism has been led by practitioners on both sides of the Atlantic, and to some extent in Australia, who have stumbled on new methodologies. From the late 1990s, a deep desire to connect the church with people outside, missional reflection on postmodern society and, in some cases, ‘post-evangelical’ angst have encouraged more contextual and diverse forms of planting. ‘Fresh expressions of church’ have multiplied these new approaches. What is missing is a theoretical framework to help understand these new developments. Though rarely spelt out, church-growth influenced planting assumes a rational choice perspective. Aggregate social behaviour results from the behaviour of individuals, each making their own decisions. These decisions are based on individuals’ preferences. Rational individuals weigh up relevant information, probabilities, and the costs and benefits of the options to make choices that come closest to their preferences. In church planting, this is reflected in the emphasis on selecting and training individual planters (e.g. Logan and Ogne, 1991). Though planters will have teams, teams are seen as collections of decision-making individuals. This perspective has a number of weaknesses.13 First, people do not behave merely as individuals. They act through relationships. Rather than sitting in armchairs thinking themselves into their choices as individuals, people engage in conversations, from which ideas and decisions emerge. Secondly, rational choice says too little about the contextual factors influencing decisions. People decide not only in dialogue with others, but in response to feedback from their contexts. Each decision then affects the context, which generates further feedback, which in turn influences the next decision. Thirdly, rational choice fails to deal adequately with uncertainty. It assumes that people know enough to choose between alternatives. But in newer forms of church planting, founders are often not choosing between options whose costs and benefits are known. They are faced with alternatives whose outcomes are uncertain. For example: will café church work in this demographic? Typically, the founding team does not know. In such circumstances, decision-making takes the form of experimentation rather than rational calculation. Fourthly, rational choice tends to distinguish rationality from emotions. Decision-making is seen as a rational calculation divorced from feelings, whereas everyday experience testifies to the importance of gut reactions. To avoid these weaknesses, the chapters that follow offer a perspective based on complexity thinking, which is a more relational, more emergent approach. Complexity thinking seeks to describe behaviour that arises from the local, uncoordinated interactions of many participants. This behaviour cannot be predicted from knowing what each component of a system does in isolation. It arises from interactions between people and has the feel of ‘making it up as we go along’. Complexity thinking, along with ‘effectuation theory’ from the entrepreneurship literature, forms the sociological foundations of the innovation framework introduced in Part 1. Michael Moynagh is based at Wycliffe College Oxford and a member of the UK Fresh Expressions team. Order Church in Life via our website before midnight on 31st July to receive a 20% discount on the cover price. See the website for details. If God has the power to intervene for some, then why does he not intervene for all? As part of the lineup at this years’ Greenbelt, Justin Thacker will be offering a talk entitled “Can we make poverty history while the poor are always with us?”. Justin’s book Global Poverty: A Theological Guide was published earlier this year. Here’s an extract, in which Justin offers some thoughts about why God doesn’t seem to do more to eradicate suffering and poverty. One of the toughest challenges to those of us who would support the notion of an interventionist God is simply this: if God can heal the blind man, why not cure blindness? If God can cure the lame, then why not cure all paralysis? If God has the power to intervene for some, then why does he not intervene for all? It was on precisely this question that Alister McGrath, then Professor of Historical Theology at Oxford University, and one of the most gifted British apologists, came unstuck – albeit temporarily – in a recent debate with Richard Dawkins. It certainly is a difficult question. However, the beginnings of a response to this challenge are evident as we examine Jesus’ own declarations in relation to the kingdom of God. All commentators on the life of Jesus acknowledge that this is a pivotal passage in understanding the nature of his ministry and identity. In the midst of the synagogue, Jesus draws attention to a passage in Isaiah, a passage that for hundreds of years had been understood as declaring the kingdom of God, heaven on earth if you will, and Jesus says, ‘Today this scripture has been fulfilled in your hearing.’ We must not lose sight of the sheer audacity evident here. The Kingdom of God, he said, is at hand. In other words, God was now unveiling his age-old plan, bringing his sovereignty to bear on Israel and the world as had always intended, bringing justice and mercy to Israel and the world. And he was doing so, apparently, through Jesus. Or, as Steve Chalke and Alan Mann summarized it, ‘The Kingdom, the in-breaking shalom of God, is available now to everyone through me.’ This is huge. Jesus was not just saying, God’s Spirit is now here for everyone, so that we all preach the good news, proclaim freedom, cure blindness and so on. No, this was a personal declaration. Even in Isaiah, from where the quotation is taken, the messianic subject does not merely announce the good news, but also brings it about. And consider Jesus’ dramatic declaration on finishing his reading: ‘Today this scripture has been fulfilled in your hearing.’ Once again, it is not: ‘Today this scripture has been fulfilled’, but rather it has been fulfilled in ‘your hearing’, that is, in the presence of those who were there – and this is so because Jesus was there, personally present. What can we conclude from this? That God’s in-breaking kingdom is present and available in the person of, and by means of, the actions and teaching of his anointed servant, Jesus Christ. In the same way that the absence of suffering that characterizes the new heaven and new earth is made possible by the presence of God, so the shalom of God that characterizes the kingdom is made possible by the presence and actions of Jesus Christ. In neither case is the absence of pain, or peace that is promised, available in general, or in the abstract. Rather, they are possible because Jesus makes it so. A similar conclusion can be drawn from Jesus’ use of parables. Tom Wright has drawn attention to the fact that, in the parable of the sower, Jesus is not so much making a general point regarding the propensity or otherwise of people to respond to God’s message. Rather, his emphasis is ‘what God was doing in Jesus’ own ministry’. Similarly, in the parable of the prodigal son, it is not, once again, a universal principle regarding the love of God. The parable was not a general illustration of the timeless truth of God’s forgiveness for the sinner . . . It was a sharp-edged, context-specific message about what was happening in Jesus’ ministry. More specifically, it was about what was happening through Jesus’ welcome of outcasts, his eating with sinners. The kingdom, then, does not come in the abstract. It comes in and through the person and work of Jesus Christ. Even when the disciples heal and forgive, it is not because they have some general ability to do so, rather it is because Jesus has specifically given them the authority to go and continue his kingdom work. It is for precisely this reason that we have Jesus’ otherwise remarkable statement at the time the 72 were sent out. ‘Whoever listens to you listens to me, and whoever rejects you rejects me, and whoever rejects me rejects the one who sent me’ (Luke 10.16). The point Jesus is making is that any ability the 72 have to enact the kingdom is only realized because Jesus is there in power. Moreover, any ability Jesus has is only because God is at work in him. The kingdom never comes in the abstract, but only by means of God’s active presence, whether in his Son or Spirit, or in us as we allow the Son and Spirit to work through us. The answer, then, to the question of why God healed the blind man but not blindness is simply this. God does heal blindness, and lameness and so on, but only where he is fully present. It is his unhindered presence that brings shalom, not the casting of some universal magic spell. In the age to come, his shekinah – his full and unveiled presence – will be operative everywhere (consider Rev. 22.5), and hence there will be no more suffering or pain. However, in this age, in the time before he comes again, his presence is experienced in veiled form. In the first place, this was true of his Son, who though fully God had his glory hidden as he lived among us.10 Such a veiled presence meant that shards of light could and did break through to bring healing, forgiveness and restoration – but this was not the unhindered presence that we will all experience in the age to come, when we will see him ‘face to face’. In the second place, though, that task of bringing God’s presence to the world – and so the all-encompassing shalom of God – is now ours. Our job is to continue in the glorious building project that God in Christ has begun. Justin Thacker is a lecturer in practical and public theology at Cliff College. He’ll be speaking at Greenbelt on Monday 28th August 2017 at 12.30pm in The Leaves venue. Church in Life, the follow-up to Michael Moynagh’s much-praised Church for Every Context is published later this month. Here’s an extract. Something remarkable is happening in the Christianity of our times. The church is learning to express God’s love in new ways. Across denominations and networks of churches, and sometimes outside them, in parts of Africa, Australia, Europe, North America and elsewhere, new ecclesial communities are popping up in the context of people’s everyday lives – in cafés, gyms, tattoo parlours, laundromats and even online games. This grassroots movement, if it really is a movement, is patchy, many communities are short-lived, and we still have a great deal to learn. But there is evidence of fruitfulness and gathering confidence in these communities’ witness to the kingdom. Though these new ecclesial communities have plenty of antecedents in church history, their recent intellectual pedigree begins around 1968. In that year, and arising largely from the work of Dutch theologian Johannes Hoekendijk (Flett, 2016, pp. 187−240), a World Council of Churches report proposed that alongside the ‘parish’ new churches, taking diverse shapes, should undertake mission in the many contexts of work and leisure in which people find themselves (WCC, 1968). Four years later John Taylor, General Secretary of the Church Mission Society and later Bishop of Winchester, wrote enthusiastically about ‘little congregations’ of perhaps just two or three Christians scattered across the settings of ordinary life (Taylor, 1972, pp. 147–52). Lesslie Newbigin, a leading mission thinker, expressed similar thoughts soon after (Newbigin, 1977, pp. 115–8). Yet these ideas were scarcely noticed, let alone acted upon. They seemed too radical, few concrete examples pointed the way, and there appeared little pragmatic need to think about novel expressions of the church. This indifference changed with the publication of a Church of England report, Mission-shaped Church, in 2004. The report called for new ecclesial communities, what it called ‘fresh expressions of church’, that would go out to people in innovative ways. They would meet in unusual places at unusual times and help people towards transformed lives via fresh commitment to Christ. Not many church reports become bestsellers, but this one did. Since its publication, it has sold over 30,000 copies (a huge number for a British report), reached an international audience and been credited with reshaping the Church of England’s ecclesiology (Davison and Milbank, 2010, p. 1). It has fanned the development of several thousand ‘fresh expressions of church’ in the UK and catalysed similar initiatives in Australia, Canada, mainland Europe, South Africa, the United States and elsewhere. ‘Fresh expressions’, whether or not that language is used, have captured the imagination of people in a growing number of denominations, from Baptists to Roman Catholics, with increasing interest from denominational leaders. Mission-shaped Church was influential partly because, unlike the earlier World Council of Churches’ report, it did not cast a theoretical vision. It was a commentary on what was actually happening. The report provided missional examples of new and different ways of being church. It used these to chart a way forward for a church that not only felt bewildered by sweeping changes in the cultural landscape, but had also experienced some 40 years of numerical decline. The report captured a mood. In part the mood connected with the emerging church conversation, which began in the United States during the 1990s and spread to other countries. The conversation involved mainly evangelicals who were asking how the church could be relevant in a postmodern age. They started to reimagine the church. At the same time, people spontaneously began to be church in new ways. One couple I met in 2002 described how they had got to know some of the young people in their neighbourhood, invited them for food and social time in their home, and had begun to introduce them to the gospel. ‘I suppose we must be doing emerging church’, they remarked. Missional – through the Spirit, they are birthed by Christians mainly among people who do not normally attend church. Contextual – they seek to serve their context and fit the circumstances of the people in it. Formational – their leaders aim to make disciples. Ecclesial – their leaders intend them not to be stepping stones to an existing church, but to become church for the people they reach. The community may be a new congregation of a local church or, if it is not part of a local church, a church in its own right. An example is Saturday Gathering, which grew out of an ecumenical food bank in Halifax, north England. After a while, a group of Christian volunteers realized that going to conventional church was too big a step for the food bank’s clients who had little church background. So they started a Saturday evening gathering in the same venue. Clients of the food bank eat together, discuss stories from the Bible and issues from their own lives, pray, and sing a few Christian songs. The Gathering began in 2012 with a dozen people and 15 months later was attracting about 60, nearly all of whom were not previously attending church. In January 2014, 19 members were baptized and confirmed by a Church of England bishop. To forge these new communities, typically the founding team listens to the people it seeks to serve, finds ways to love and serve them, builds community with those involved, offers opportunities for people to explore the Christian life and encourages a community with tastes of church to emerge round those coming to faith. In the case of Saturday Gathering, the food bank was the outcome of the first two processes. The next three occurred on Saturday evenings. Using this approach, Christians don’t invite people to come to an existing congregation, which would be an ‘attractional’ form of mission. They don’t go out in ‘engaged’ mission, based on some form of community project, and then invite people to church. They are an ‘incarnational’ presence in the midst of daily life, creating a church-like community with people who want to follow Christ. Within the Church of England, over three-quarters of them remain within the parish that started them (Lings, 2016, p. 10). They are, in effect, new congregations, complementing the existing church by serving people it does not reach. In Rowan Williams’s words, they form a ‘mixed economy’ in which new ecclesial communities do not supplant the existing church, but sit alongside it in relationships of mutual respect and support (Church in Wales, 2000, p. 3). These new communities go by a variety of names, such as simple church, organic church, missional communities, new monastic communities, praxis communities, fresh expressions of church and church plants. Having toyed with ‘new contextual churches’ (Moynagh, 2012), I have settled on ‘new ecclesial communities’ as an umbrella term for initiatives that meet the missional, contextual, formational and ecclesial criteria. The term ‘community’ leaves open at this stage the question of whether these initiatives can properly be described as ‘church’, a controversial issue addressed in Chapter 12. ‘New ecclesial community’ refers in the first instance to the team that initiates the venture. It can refer also to the community that emerges round the team. In addition, if it meets separately from the rest of the initiative, it can refer to the community of those coming to faith. Finally, it can refer to all three at the same time! This fluidity of language is not without precedent. The New Testament uses ‘church’ to refer to the gathering in people’s homes, the assembly of the whole town or city, or the entire body of Christ. As with ‘church’, how ‘new ecclesial community’ is being used will be clear from the context. The most thorough research into these new communities has been undertaken by Britain’s Church Army Research Unit, which has counted ‘fresh expressions of church’ in half the Church of England’s dioceses and conducted telephone interviews with the leaders of all those satisfying its ten criteria (Lings, 2016, p. 18). These criteria diverge from my four above, not only because there are more numerous, but because they do not insist that a fresh expression is birthed mainly among people not attending church. They include church-growth influenced church plants, discussed below, which seem to attract a substantially smaller proportion of people from outside the church and which in the UK are normally distinguished from ‘fresh expressions’. This failure to make an important distinction limits the research as a resource for new ecclesial communities. Even so, the findings published in 2016 provide considerable evidence that these new communities can be missionally fruitful. 1,104 ‘fresh expressions and church plants’ were identified. As estimated by their leaders, 50,600 people were attending the initiatives’ regular (at least monthly) main events. Three-quarters of the initiatives had been started in the last ten years, with evidence that the pace continues to accelerate (pp. 41−2). In the first wave of ten dioceses, an estimated 13.5% of local churches had at least one fresh expression or church plant. The average size of these initiatives is about 50 people of all ages. In a sub-sample of 66 ‘fresh expressions of Church’, as many adult and children attendees had not been going to church in the previous two years before they joined the community as had been going to church – 45% in both cases. These figures exclude the team leading the initiative (Dalpra and Vivian, 2016, p. 30). If this is representative of the sample as a whole, it suggests that these new communities are remarkably effective in drawing in people from outside the church. Four-fifths (80.4%) are taking steps to grow disciples beyond what is available in their main gathering. 37% have had baptisms, while 43% have held a Holy Communion. The report concludes, ‘Nothing else, as a whole, in the Church of England has this level of missional impact . . .’ (p. 10). This is a somewhat ambitious conclusion. What the report does not tell us is how many people from outside the church are coming to faith. If – most unlikely – hardly any were journeying to Christ, one would need to compare these ‘fresh expressions’ with other outreach activities that have little evangelistic impact, and the report does not do this. For all the report’s helpful wealth of data, we do not have some crucial figures: how many people are journeying towards Jesus and how many would say they have been found by him? Only then will we know if these new forms of ecclesial community go beyond loving and serving people outside the church to drawing them into the Christian life. 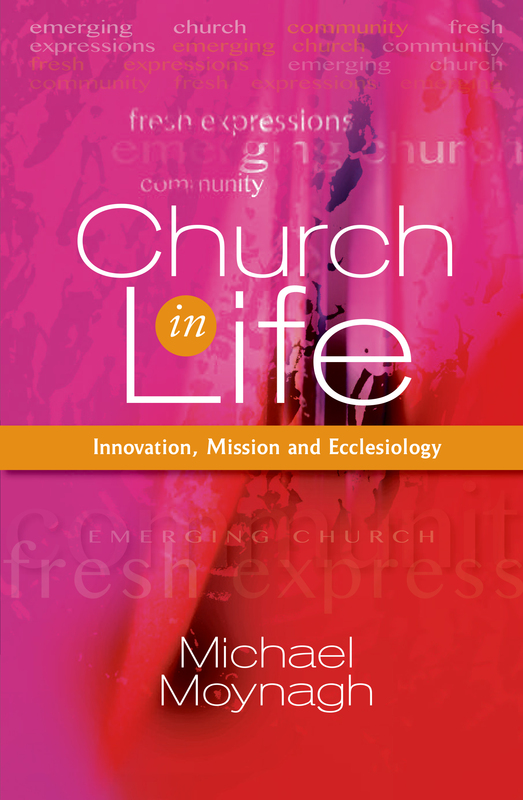 Pre-order Church in Life now to benefit from a pre-publication discount.